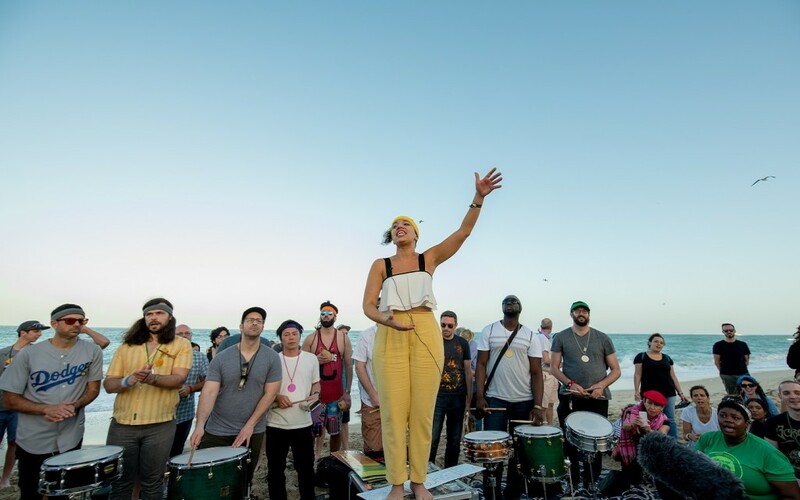 GroundUP Music presents its third annual GroundUP Music Festival in Miami Beach, FL February 8-10, 2019. Hosted by three-time Grammy Award winning artist Snarky Puppy, the festival will feature a special Snarky Puppy set each night with a different lineup, as well as the world premiere of their new, unreleased 12th album with the first-ever live performances of the music from the album. Join this world of great music, feast on the sumptuous local food created by celebrity-chef Michelle Bernstein, and hang out on the beach in the balmy 74 degree weather with the bands who will lead small interactive workshops all weekend, as Snarky is joined each day by an eclectic list of international superstars, to be announced soon. Led by GroundUP and Snarky Puppy founder Michael League, and GroundUP CEO Paul Lehr who brought the annual festival to Miami Beach, and with its production partner The Rhythm Foundation, the first two years of the GroundUP Music Festival attracted nearly 8,000+ attendees, 60% of whom traveled to Miami Beach from 40+ US States and 40+ countries from around the world. Because of this international appeal, GroundUP Festival has oft been called the Art Basel of music. Fans come for the performances and to interact closely with the artists in the intimate workshops and hang with them throughout the weekend in the festivals sprawling beachfront complex. Three-time Grammy-winners Snarky Puppy play daily sets, along with a lineup of great musicians. Hailed as one of the 10 best music events, the GroundUP Music Festival is unlike other festivals  artist-centric and attendee-focused, with an intimate daily capacity of about 2,000, no overlapping sets, great acoustics in a small outdoor theater on the beach/ocean where the audience always has plenty of space and great views and gets to interact on a personal level with the featured festival artists who give masterclasses and hang with the fans all weekend long. And when the music ends at the festival, the late night sessions kick-in with six different sets each night until 4 a.m. GroundUP will continue to push the envelope on the typical festival experience and break down the barriers between audience and artists in order to create an optimal experience for both the audience and artists.